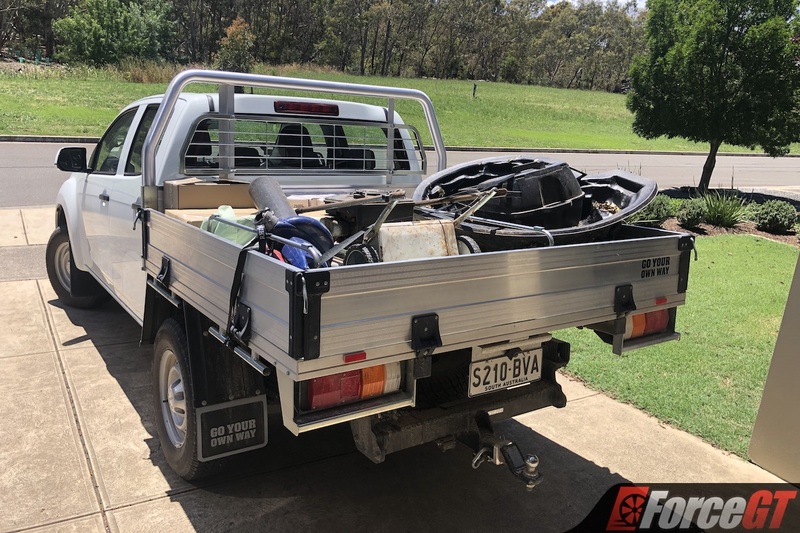 While dual-cab utes were once something you’d only ever see on farms or worksites, perceptions of these once-humble workhorses have shifted in recent years, with them now more of a status symbol used to tow boats and carry dirt bikes than a mere tradesman’s tool. 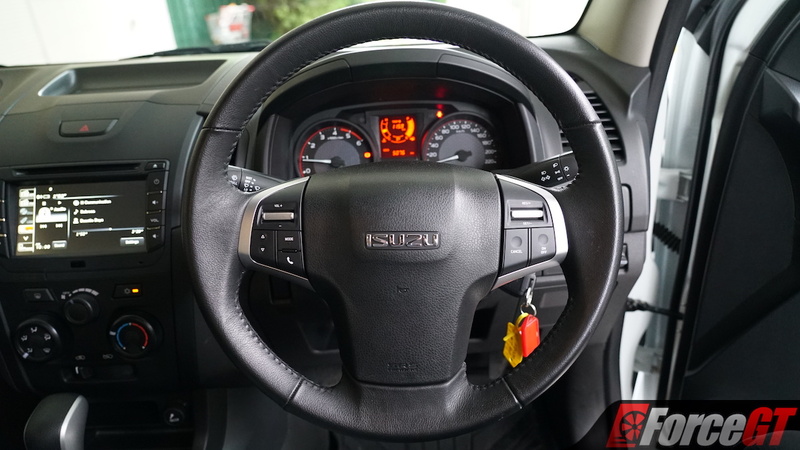 Now, even utes positioned as being tough and rugged, such as the notoriously durable Isuzu D-Max, are gaining extra features and plusher materials to distance them from their basic options. 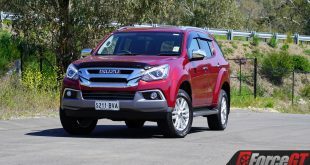 It’s clearly doing the trick as far as sales are concerned, too, as figures emerged just last week confirming Isuzu UTE Australia’s tenth consecutive year of growth in 2018, with sales up 7.1 per cent over the previous year. Late last year, we tested the new range-topping D-Max variant – the auto-only LS-T 4×4 Crew Cab – and, while it was rather a nice thing and still felt rugged enough to handle a bit of bush bashing, you wouldn’t want to ruin its lovely metallic paint, carpeted floor, and plush leather seats on a worksite. 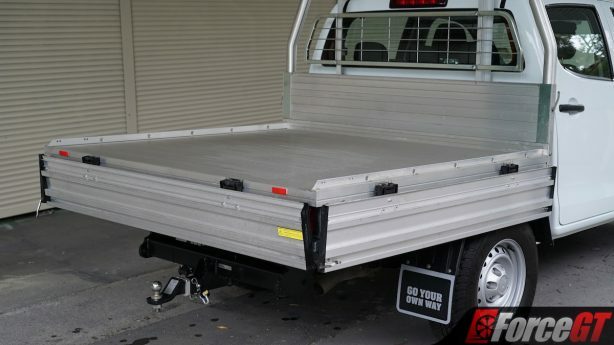 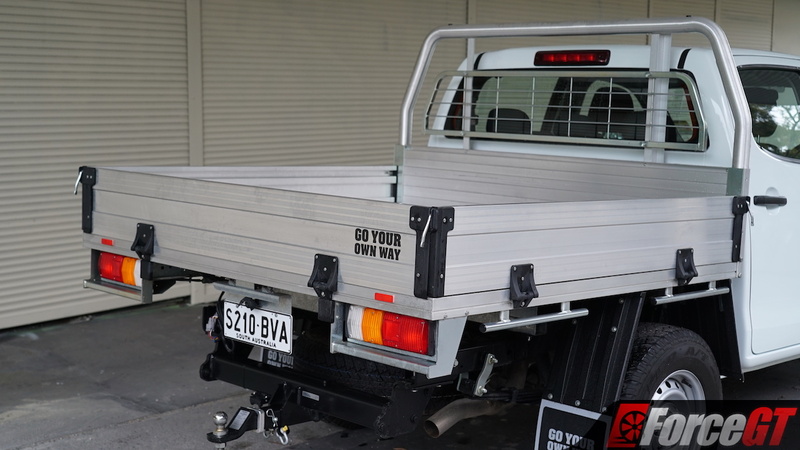 So to go back to basics and get an idea of what sort of a dual-cab ute tradies would actually want to use on the job, we grabbed the keys to an SX Crew Cab Chassis with a factory-fitted alloy tray and set out to see just how tough it is. 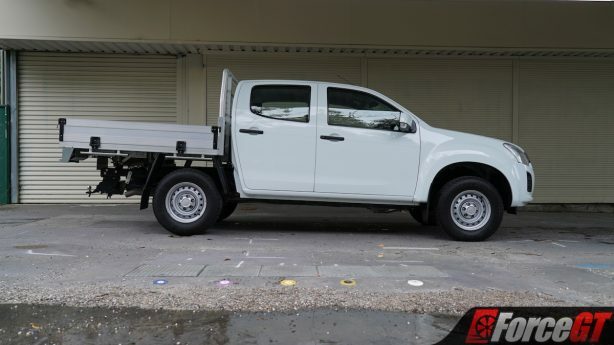 As the SX sits one rung above the super-basic EX in the D-Max Crew Cab lineup, it looks a bit more professional than the real cheap seats, with a painted front-bumper the most obvious visual difference. 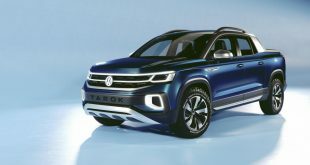 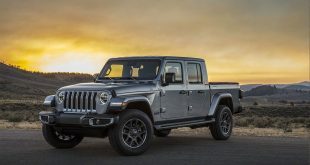 With simple steel wheels clad in all-terrain Bridgestone Dueler tyres, dim halogen headlights, and little in the way of bling, there’s no denying it’s not the prettiest thing in the world, although it does look tough and ready. Although it can be had with a standard painted tub on the rear like the LS variants of the D-Max, cab chassis models allow a lot more room for personalisation and tailor-made tray options to suit individual buyer’s needs. Our tester, however, had one of the three trays Isuzu offer as factory options. While there’s a light-duty alloy tray and a heavy-duty steel tray, ours was fitted with the heavy-duty alloy tray worth $2,110 – a good compromise that doesn’t affect payload with extra weight but is still strong enough to take a bit of a beating. 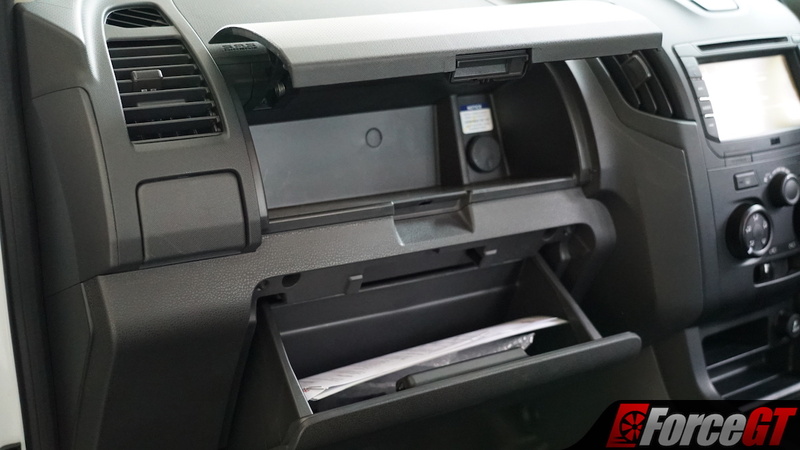 All three sides of the tray fold down, released by simple latches, and there are plenty of tie-down points both inside and outside the tray. 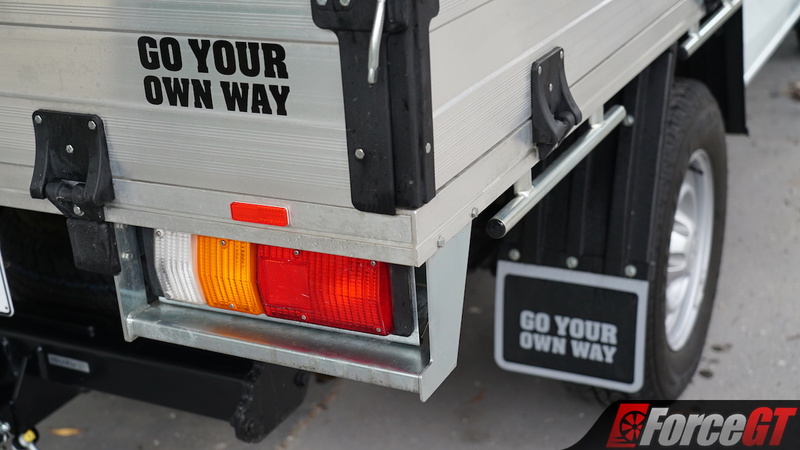 I also particularly like Isuzu’s “Go Your Own Way” tagline – lifted from Kingswood’s cover of a Fleetwood Mac classic used in their Aussie advertising – printed on the tailgate and mudflaps. 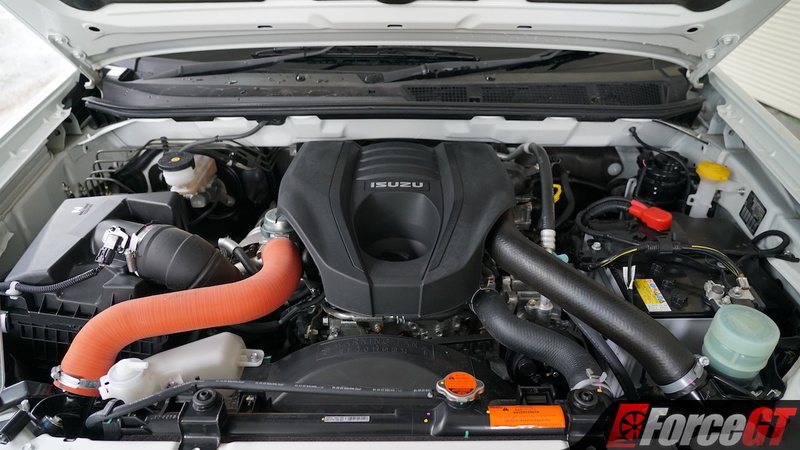 Basic is the first word that will come to mind as you take a seat behind the wheel of the SX, as the plush materials found in the LS-T are all far gone. 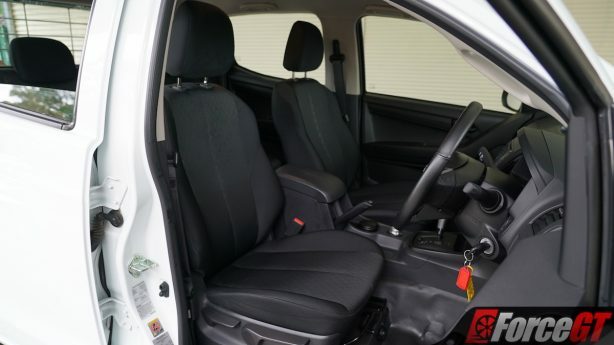 Instead of leather accents and plush carpeting, you’ll find acres of hard plastic, cloth seats, and even vinyl flooring. 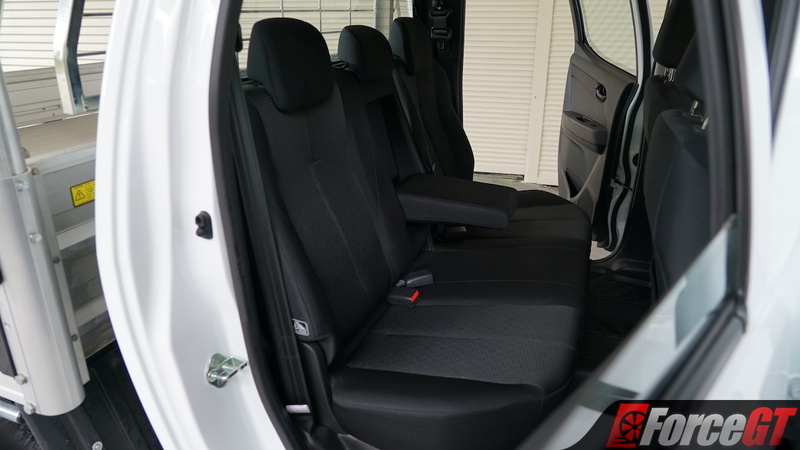 While it might not be in any way luxurious, it is all hardy and easy to clean, and there’s nothing that looks or feels especially offensive either. 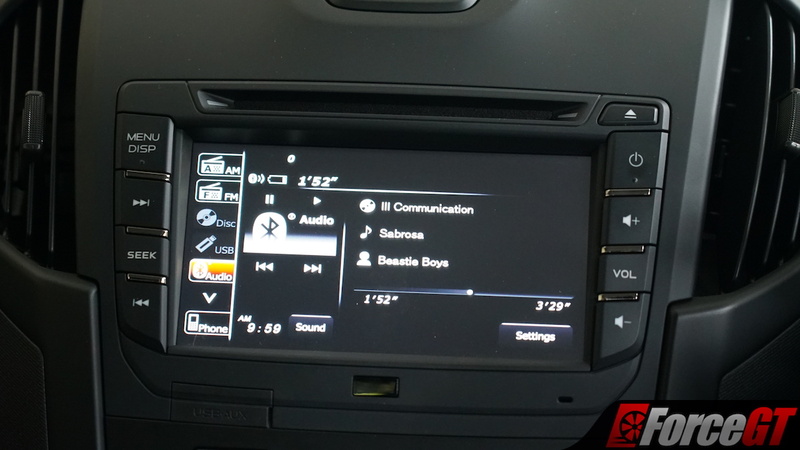 There are also manual air conditioning controls, a smaller touchscreen that lacks satellite navigation, and a far more basic trip computer on a dot-matrix display. 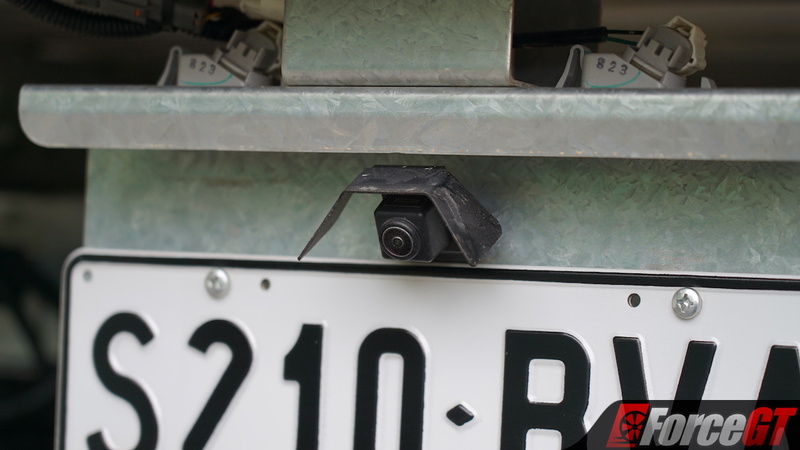 While our tester had a back-up camera, it should be noted that it’s actually a $432.30 option on the SX. 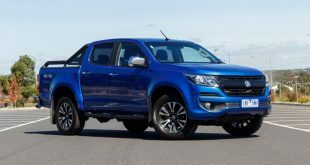 There isn’t even an ambient air temperature sensor – although a friend of mine who has a similarly-specified Toyota Hilux as a company-provided vehicle also cites that as a complaint with his, so the problem certainly isn’t unique to the D-Max. 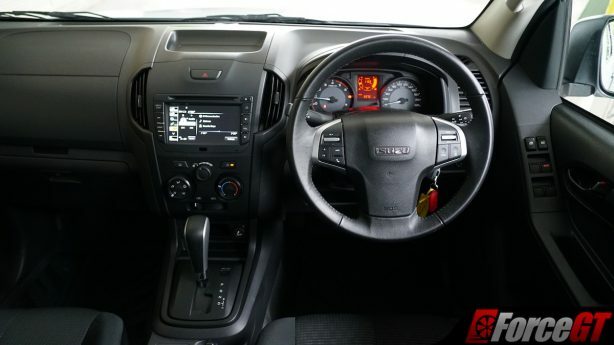 It’s not all bad though, as the interior is still incredibly well laid-out with plenty of clever storage spaces, the steering wheel is still pleasantly leather-wrapped, and it still sports the fantastic eight-speaker ‘Sky Sound’ surround sound system of higher-spec models. Space is good for both rows, with plenty of head and leg-room, although the rear pew is admittedly a little on the firm side. Going out on a limb though, I would suggest that it’s likely the rear seats would be used too infrequently, and I personally would opt for a single cab or space cab model in order to gain a longer tray as a sacrifice for rear seats. 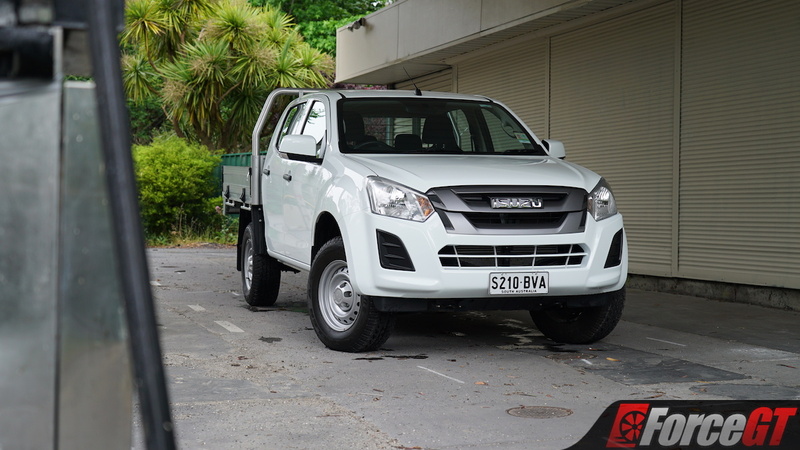 The SX is underpinned by the same 3.0-litre four-cylinder turbo diesel engine as the rest of the D-Max range, with the big oiler churning out 130kW and 430Nm. 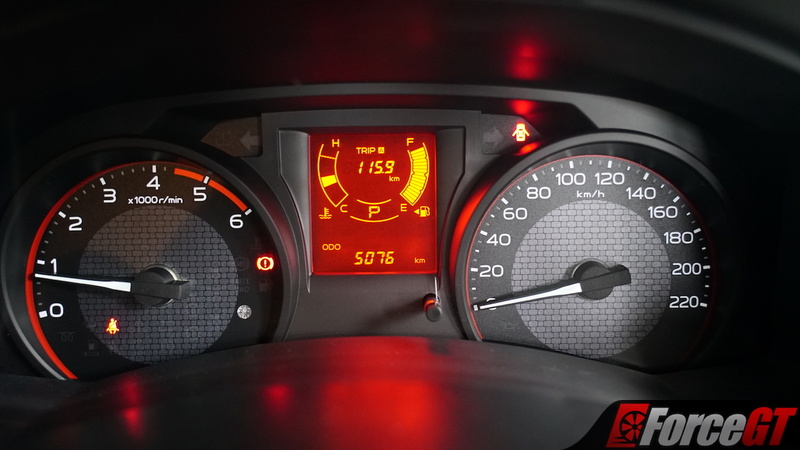 Fuel consumption is rated at 7.9L/100km on the combined cycle, and we saw usage of precisely 9.7L/100km during the first 410km of testing which was, coincidentally, exactly what the car’s trip computer indicated. 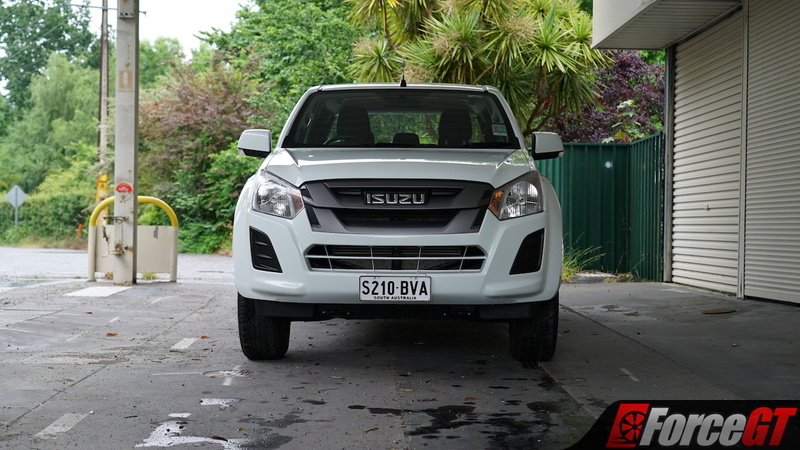 That indicated number dropped further to a fairly impressive 9.4L/100km by the end of our fortnight with the D-Max. 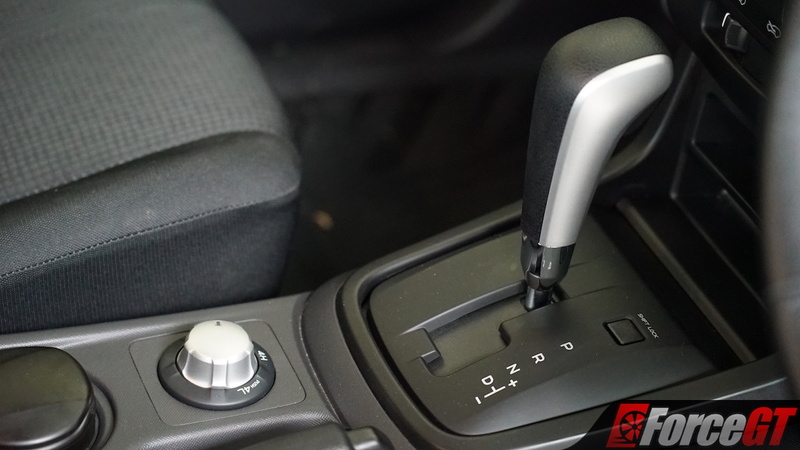 Two transmissions are on offer – a standard six-speed manual, or the optional six-speed automatic fitted to our tester for an additional $2,100. While it can be had with either rear or four-wheel drive, the latter commanding a hefty $8,000 premium. Above: Hard at work or hardly working? 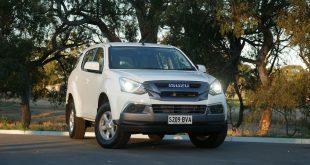 We’ve already written extensively about how the D-Max drives in our review of the range-topping LS-T, and the SX is fairly similar in terms of performance and handling. 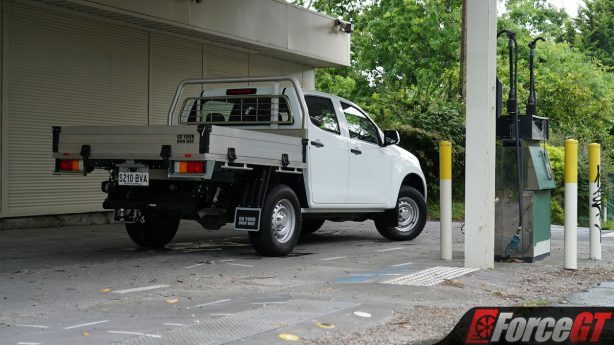 While not 100 per cent as competent a corner carver on all-terrain tyres, it still handles well for a hefty dual-cab ute, with direct, weighty steering and a fairly flat ride. 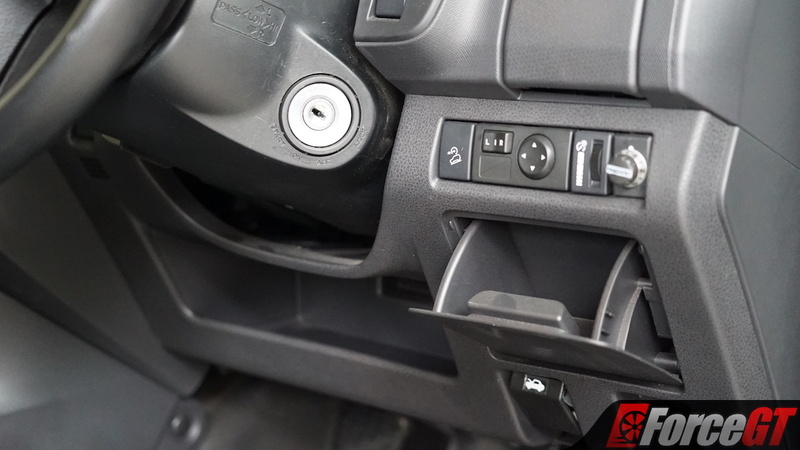 It’s certainly a firm ride, however, as while LS variants sport a new ‘comfort’ suspension tune that uses three leaves on each side of the leaf-sprung live rear end, the SX and other work-focused variants use the older five-leaf setup to help bolster payload. With the ability to carry up to 1,164kg in the tray, it’s certainly got that box ticked comprehensively, but it is to the detriment of comfort as the rear end feels firm to a harsh degree and is unable to iron out bumps with the same aplomb as the double-wishbone front end can. However, with some weight in the rear – even just a couple hundred kilos like you can see above from a few odds and ends that needed to be carted to the tip – it rides far more smoothly. 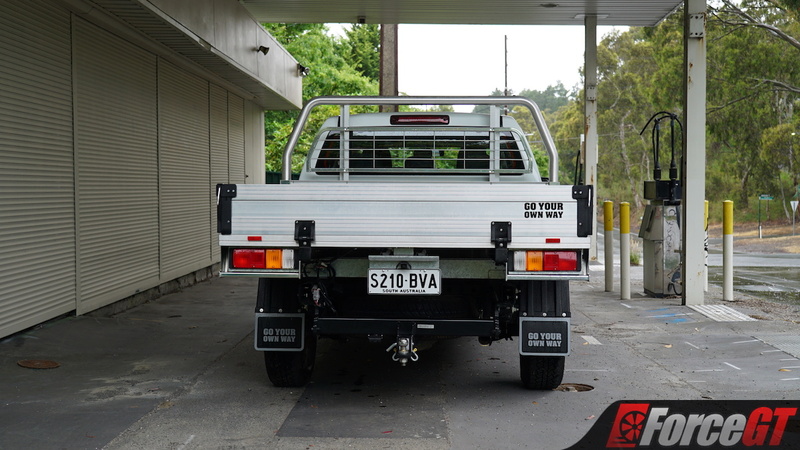 If you were to have heavy toolboxes or other items back there regularly – which, chances are, you will if you’re opting for a cab chassis model – you shouldn’t have any real issues there. 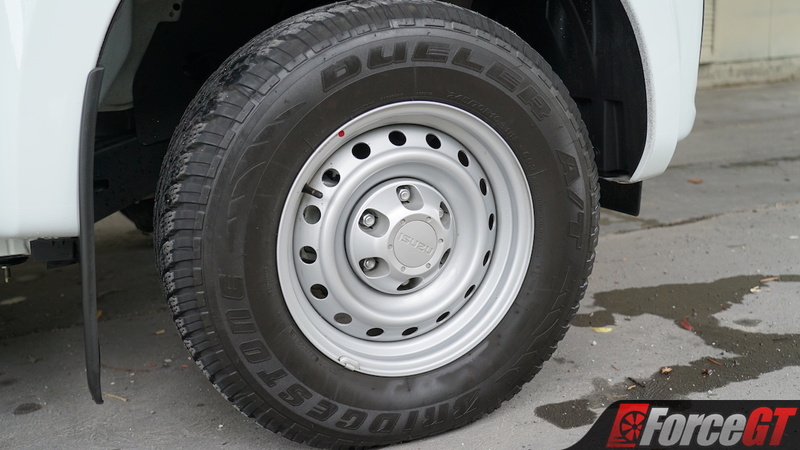 It’s also worth pointing out that the big diesel donk’s peak torque plateau between 2,000-2,200rpm is in the perfect spot when carrying heavy loads or towing, as the six-speed auto’s gearing keeps it right in that sweet spot, meaning it never seemed to feel strained. 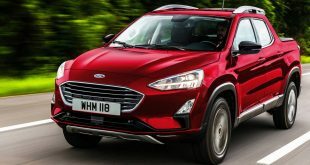 It’s still a rather raucous affair, however, as while the 3.0-litre oiler is renowned for reliability, NVH levels aren’t exactly one of its strong suits. 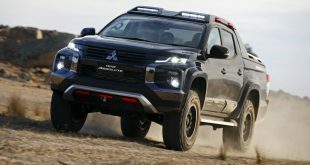 While we didn’t do an extensive amount of off-roading this time around, a quick half-hour jaunt on some of our usual test tracks showed that it does feel a tad more sure-footed on the all-terrains, particularly through thicker mud as you’d expect. 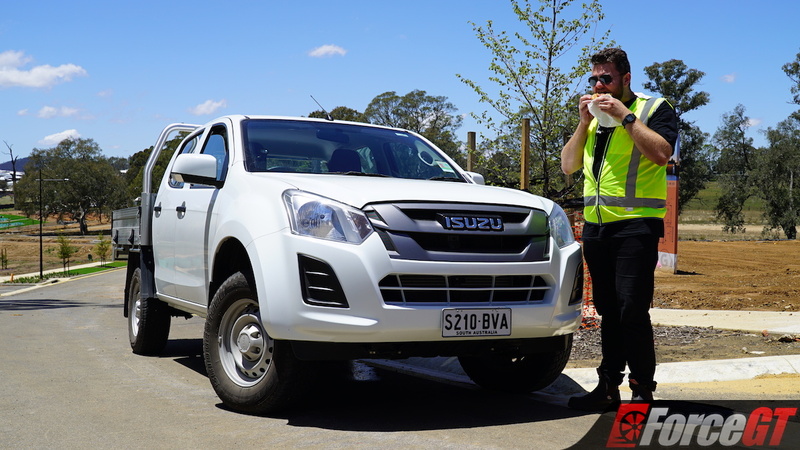 While the Isuzu D-Max is a solid workhorse in any guise, none feel more ready for the worksite than the SX Cab Chassis, which, while certainly basic and far from pretty, feels like a well-made, purpose-built tool. 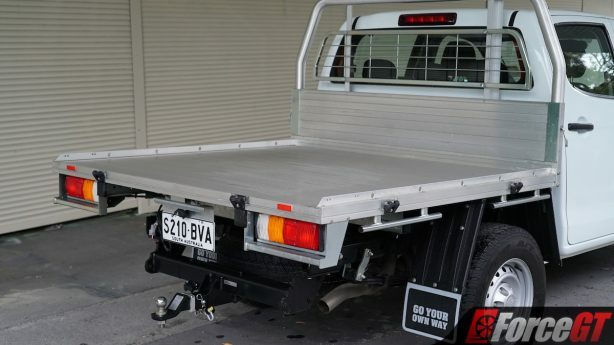 Although I personally would opt for a single cab to get a longer tray as the rear pew is likely to see less use, and would probably save some pennies by going for the manual too, it still feels totally fit for purpose even as it sits here. While it may not receive the best of scores on a metric that favours high-end performance cars, as a tradie’s tool, it truly is a perfect choice and the right tool for the job.